When Cornish-based company Daften Die-Casting was looking to fit oil mist filters on to the machine tools in its new purpose-built site, there was only one company for the job – Filtermist. The UK manufacturer installed a total of ten units for the family-run company which was established in 1961. 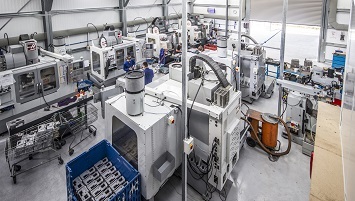 The firm offers aluminium pressure die-casting, overseeing the process right from the design and manufacture of tooling, to the machine finishing and powder coating. In 2016 Daften opened up its state-of-the-art facility in Wadebridge, in a move aimed at keeping the company at the forefront of the industry by utilising the latest manufacturing technologies. 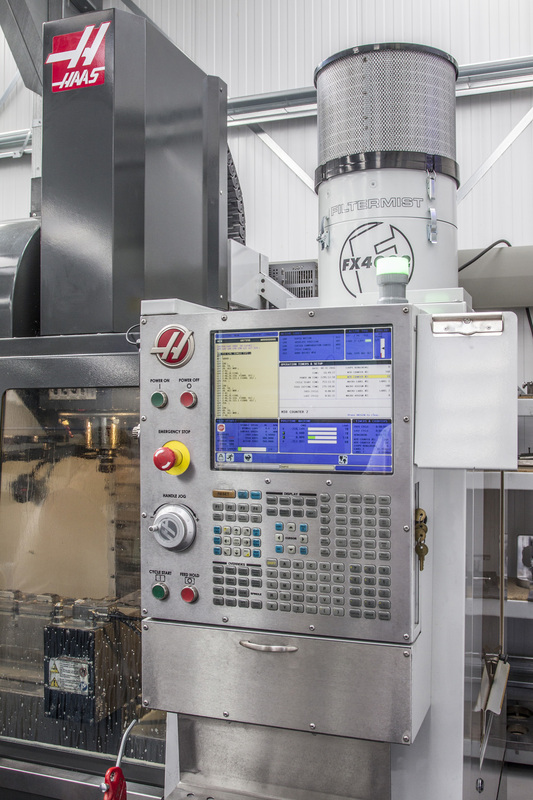 Included within the new site are seven Haas VF2 SS high speed machining centres, one XYZ Mini Mill machine and one Sodi-Tech spark erosion machine, all of which have Filtermist oil mist filters fitted. There is also a Haas VF1D machine in the original factory and an industrial Vixon parts washing machine with Filtermist extraction fitted. Mark Weedon, Daften’s Sales and Commercial Director, said: “When we opened our brand-new building we wanted to keep it looking new and fresh. You see so many foundries and factories where the walls are black because of all the airborne contaminants – ours have stayed as white as the first day we opened which is what we were aiming for. “There are so many benefits to using the filters: it’s a much better working environment for our employees, the insides of the machines are cleaner, and they work more efficiently. “The filters draw up moisture from the parts washing machine preventing it from dripping off the roof, whilst from a recycling perspective, the coolant used within the other machines is filtered back into each respective machine enabling us to re-use it – providing benefits from both an environmental and cost-savings perspective. “Our customers are also liking what they see - having the filters installed shows the effort we put into our workplace and that’s something customers really value. Mark added that previously when you opened the doors to their facilities the vapours were released into the environment, but now the air doesn’t contain any vapours. The company has two other divisions, Daften Powder-Coating and Piranha Products, the latter of which offers anodes and anode backing pads for the boating market, and is considered a ‘one stop shop’ for aluminium pressure die-castings. Visit http://www.daften.co.uk/ for more information about Daften, or to find out how Filtermist could help your business, visit www.filtermist.co.uk, call one of the expert team on 01952 290500 or email sales@filtermist.com. Images: Inside Daften Die-Casting’s facility. Photographs courtesy of Chris Hewitt Photography.